Founding members of the Long Island Clean Water Partnership are taking the government to task to protect our water. The Suffolk County Health Department released a final assessment of its 2017 test-well sampling program and confirmed Wainscott Sand and Gravel’s controversial Sand Land property operations had significantly contaminated the area’s underlying groundwater aquifer. Among a variety of contaminants identified, results show iron levels found in test wells are 200 times greater than the drinking water standard and manganese are 100 times greater than the drinking water standard. Testing also revealed other heavy metals, nitrates and even radioactivity at levels above drinking water standards. 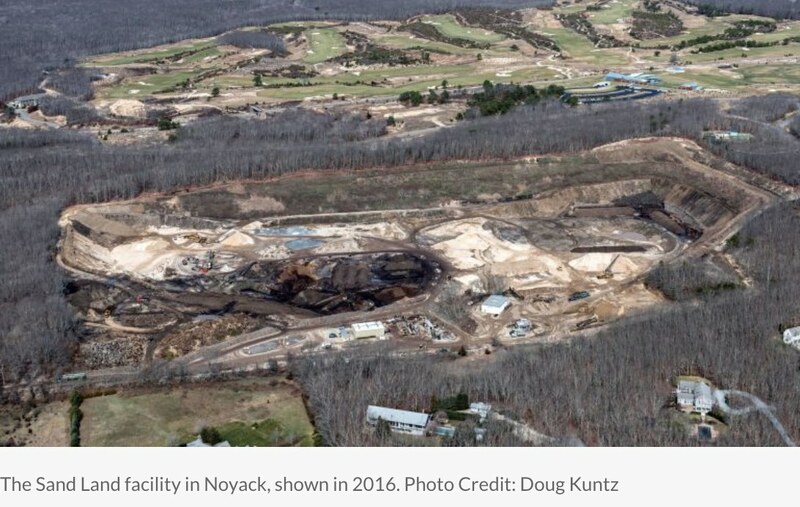 This is a prime example of how contamination on the surface can pollute the groundwater which on Long Island is our only source of fresh drinking water. On the East End, the South Fork’s largely forested “highlands” provide the greatest opportunity for precipitation to make its way deep into our underground water supply, in geologic formations known as aquifers. Unfortunately, when industrial operations are permitted in such areas, as is the case with the Sand Land mine, the likelihood of contamination is significant and can threaten the deepest and most important part of the aquifer. At a recent press conference organized by local civic and environmental groups to address the County report, Southampton Town Supervisor Jay Schneiderman said that despite what the Town has been doing to protect critical resources, the battle to protect its waters has been lost in some respects. Suffolk County Assemblyman Fred Thiele pointed out that public health is at risk and it is time to stop the pollution that led to this contamination. Suffolk County Legislator Bridget reminded those in attendance that the only supply of drinking water we have is right beneath our feet. Group for the East End and Citizens Campaign for the Environment are working with local municipalities, the community, and environmentalists on a unified action plan to protect Long Island water. You can help! Stand up for clean drinking water and public health by joining the Long Island Clean Water Partnership today!